Available at PeachPit Press and Amazon amongst others. 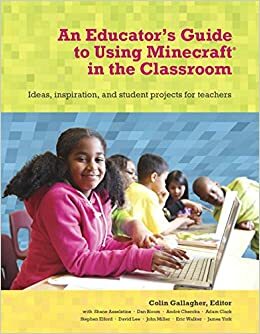 Well, it’s been a long time coming and probably the worst kept secret around the Minecraft in education community but our book on Minecraft is just about to be published/available! From the time Cliff at Peachpit Press contacted me back in March 2014 it’s been a whirlwind of planning, getting in touch with some fantastic teachers around the world and getting them on board, editing, editing, and more editing (thank you Robyn for your guidance!). My respect for authors has grown exponentially. 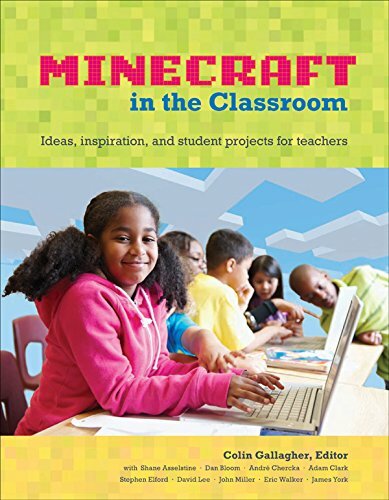 This all wouldn’t have been possible without the willingness and openness teachers around the world have with regarding sharing what they are doing in Minecraft and it all stemmed from my Minechat series on Youtube. Thank you Shane, Dan, André, Adam, Stephen, David, John, Eric, and James. Thank you to Robyn, again, for the momentous task of editing all the chapters from people in many many timezones! And thanks to Cliff for getting it all kickstarted.